I have recently started to restore a Gottlieb spin a card. I have checked all the fuses and they are fine. the schematic indicates that there are two circuits off the transformer one feeds the lights and they work the other feeds the fippers, bumpers, roll over switches, etc and they don't work. Pushing the start button activates the rack reset but thats it. All suggestions would be appreciated. Some of us know how to manually step a game thru the reset process so we can work on certain issues out of seq. ie on a 4p game Im not going to send hours initially cleaning the 16 reels. I will take alligator jumpers to simulate the reels zeroing out etc. OK I got it working. The reels did reset and I put a ball in play. Now tell me what and where is the ball in play unit I need to clean. Also what is the "pf"? I live in northern michigan small town not a lot of EM repair guys around. Click on link to view Ball Count Unit. It is located in picture on left side in the center of picture. OK a couple more questions. At the bottom of the back box there is a row of lamps (10) in small holes my fingers don't fit into to change the lamps.I tried plyers and broke the bulb. Any suggestions? Also the 15 amp fuse off the transformer has blown twice I have checked to see if there is voltage leaking from the trans to ground, nothing. Any ideas? At the bottom of the back box there is a row of lamps (10) in small holes my fingers don't fit into to change the lamps.I tried plyers and broke the bulb. Any suggestions? Use a shooter tip rubber. I have found a short piece of 5/16 or 3/8 inch (which ever size fits snug) automotive rubber fuel line pushed onto bulb works really well to remove and install the bulbs. Also works great on spark plugs. OK one more problem. There are cards in the playfield that light up when certain rollovers are hit and there are similar ones on the back box but they will not light and I can't figure out what actuates them. Any suggestions? The cards in the backbox are the indicators for the SPIN function. Only one of these cards should ever be lit at a time, and there should always be one lit. There should be a mini-stepper relay in the head, called the SPIN RELAY. There is one disc and wiper on the spin relay that selects one of the cards on the backbox to light up. When the SPIN feature is activated, the spin relay is stepped several times by a pulse-generating SPIN UNIT stepper mounted on the bottom board. This makes the lamps for the cards on the backbox "spin" as they light up one after another quickly in rotation. When the pulses stop, the one randomly selected (lit) card that is showing on the backglass is spotted. If the spin relay is there, but no cards light up on the backbox, check the disc and wiper on the spin relay to see if they need cleaning. And of course, check that the lamps and the lamp sockets for the card lights are OK. Thanks for your suggestions. The spin relay was very dirty. I took it apart and cleaned it.Some of the cards have been lighting up. Your message suggests that there is a stepper unit and that the cards should spin, they don't. There are two relays on the bottom board one says "Spin Pulse" and the other says "Spin Delay". I assume the pulse relay is what selects the card. What makes this relay pulse? I have also replaced all the lamps. I have heard that there is a tool that can be purchased for cleaning the sockets, is there one? On the bottom board, to the right of the score motor, is the spin unit. 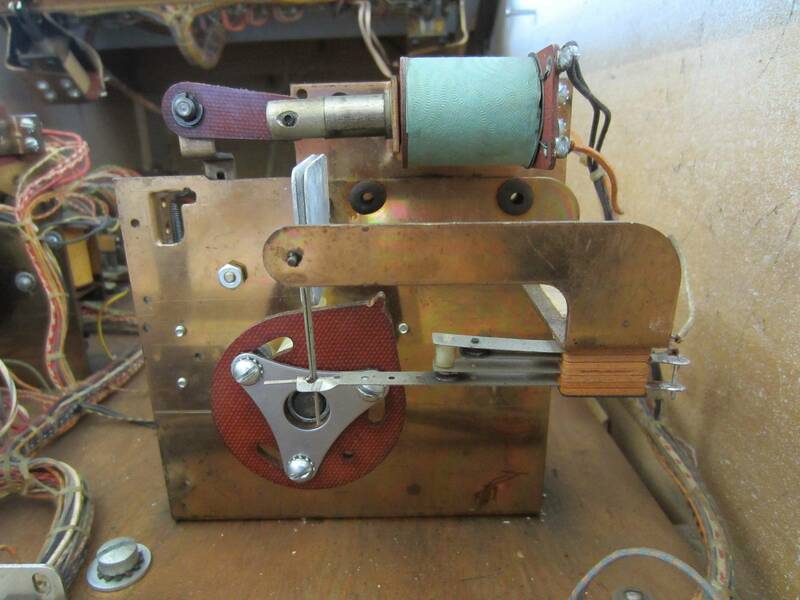 This is a stepper with a small rectangular metal spinner and a bakelite finger attached to the stepper gear shaft. The finger is positioned such that it can flick the spinner and make it spin. The spin unit steps up several times to wind up its torsion return spring. When the spin function is activated, the reset coil of the spin unit stepper is energized, releasing the gear and allowing the torsion spring to snap the finger back to the reset position. As the finger snaps back, it flicks the spinner and makes it spin. A switch attached to the metal spinner pulses the spin pulse relay. The spin pulse relay pulses the spin relay and also sends current to a small time-delay module consisting of a diode and a capacitor. This delay module is used to hold in the spin delay relay while the spin pulses occur. Each pulse from the spinner, in addition to stepping the spin relay, re-charges the capacitor, which keeps the delay relay pulled in. As long as the pulses occur fast enough, the capacitor stays charged and the delay relay stays in. When the pace of pulses from the spinner slows down enough, the capacitor discharges and the delay relay drops out. This causes the selected card to be spotted and also terminates the spin function. As for cleaning lamp sockets, the best thing to use for playfield sockets is a #443 wire brush attached to a Dremel tool running at medium speed. Push the brush directly against the center contact down inside the socket for a second or two, and then run the side of the brush around the inside of the socket in the area above the center contact for another second or two. Don't push the brush down into the socket between the side-wall and the center contact, as this will put undue stress on the central rivet holding the socket assembly together. For lamp sockets in the head, you can use also use the #443 brush, but be aware that the center contact is a spring rather than a metal post. Another problem, or question the special when lit lights don't light. What is suppose to turn them on? Lighting all the cards on the playfield brings on the SPECIAL when lit lights. Once lit the SPECIAL light alternates from the center fan target and return out hole. Did you get the spin function to work? It's a little tricky to get it working just right. Lots of interplay between several components. All have to be dialed in, tweaked and then tweaked some more. I think the spin is working. I'm not sure if correctly. A card lights and a different one comes on during play. I tried to watch the system and it does ratchet the spring and I saw the spinner spin, it does not spin for long about 1 second. I'm not sure what to expect.I'm pretty new at this. I think I'm pretty mechanically inclined but this is a challenge. If the spin light goes all the way around and lights each card at least one time, then the spin function is working to factory spec. If not, then either the delay module is not working or the spin unit needs adjustment. The main reason a delay module fails is a bad capacitor. It's fairly easy to tell if this is happening. 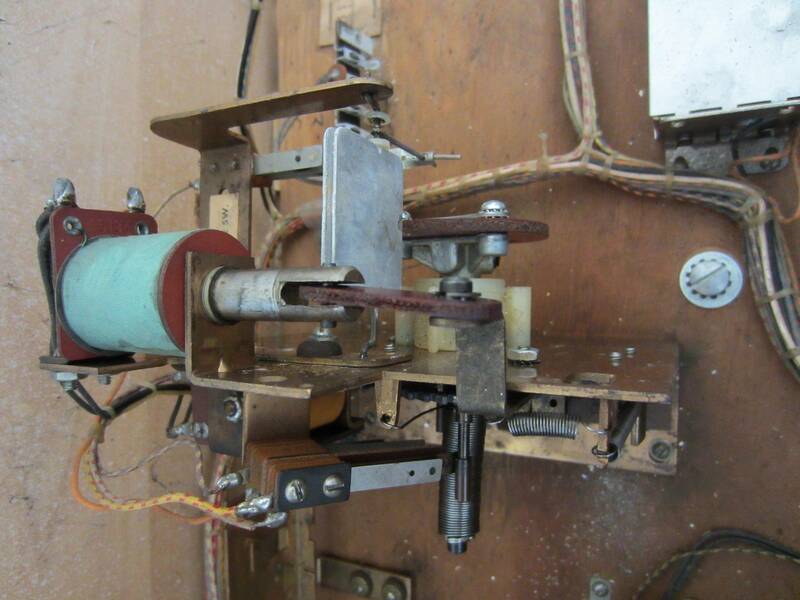 With the playfield up, actuate the spin function and watch the little metal spinner. If the spin delay relay drops out and stops the spin function while the spinner is still going fairly fast, then the delay module is bad and you need to replace the capacitor and/or the diode on the module. 1. The little metal spinner has too much friction on it. This is usually due to the spinner axle not being lubricated, or the pulse switch blades are out of adjustment and are putting too much back-pressure on the spinner. 2. The little metal spinner is not stopping in a mostly vertical position so that the bakelite finger can give it a solid hit. This is usually due to either the pulse switch blades being out of adjustment, or the wire axle on the spinner itself being bent. NOTE: If you attempt to bend the wire axle on the spinner, be careful as it is easy to break the wire if you apply too much force. 3. The bakelite finger is not stepping up far enough to give the spinner a good hit when the unit resets. This is usually due to the bakelite finger being set in the wrong position. I forced all the cards to light and the special light at the return hole goes on and off but the light at the target does not. I replaced the lamp and cleaned the socket but still no light. What makes it alternate? What makes the ratchet work? How do I make the spin function work manually? Different cards do light during play but usually only 2or3 cards. Probably controlled by an alternating relay. The contact points on it may need cleaning and adjusting. All of the components of the spin feature could be functional, but if that pesky AS unit isn't working right, the cards won't light properly on the backglass. This is one of the most complicated arrangements on any single player Gottlieb. You really need to be an advanced pinball technician to get that whole deal working right. Same arrangement on "Flip a Card" and the two add-a-ball versions. I cleaned the socket at the target again and now it is working. What is the AS unit? What is suppose to happen when a card is lit? Also there are 10 lights along the bottom of the back box what are they for and what turns them on? The AS unit (referred to as the "B Relay" in this game, actually) is a small-sized spinning wiper unit, very tiny, that was designed to basically replace the large match units of the time (or perhaps they only "realized" it later on as this game still uses the large match unit and this change was not made until the early 70's) - it's a non-resetting spinning unit that will only spin one direction repeatedly. It has two identical sides, each usually controls something different and one value of voltage. So in this game, one side controls the "front-end" - the card lights on the backglass (6 volts AC), and the other side controls the "back-end" - the solenoids inside the game to spot said card once it is landed upon (30 volts AC). 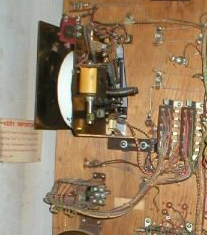 However, even though this game has two match-style units inside of it, as usual the alternating features are still controlled by the REAL match unit and were not transferred over to the AS relay (B relay) as that would make no sense - you'd get no alternating, because it only ever moves whatsoever when it spins via the kickout holes. However, the match unit in every Gottlieb games advances with every 10 point hit (or is it 1 point on these 4-digit games?) which also controls your alternation as I don't believe there is an alternating relay in this game. At the end of the game do you get a match number appearing on the backglass? If this number never changes (or if no number appears but match is enabled) your match unit likely needs a rebuild/is stuck or dirty. You can light SPECIAL by hand by activating all of the card switches and then spinning the unit by hand to see if it alternates for you then. The match unit is the large unit in the bottom of the right of the backbox, when facing the back of the machine. It will only twist one way and don't force it. Some units you need to plunge the coil by hand to get it to spin but if I remember correctly you can gently twist these and it will do it for you. Thanks for your explanation. It appears to be very complete. Unfortunately I don't understand some of the portion pertaining to the match unit and what and where it is. There is a unit that looks like the spin unit and just left of it from the front end with a large bakelite disc on it. If I push the plunger it releases something but I don't know what. At the end of the game one of the 10 numbers in the bottom row lights, what does that mean? Most of the game seems to be working OK considering it has been sitting unused in a hunting cabin for the last 10-15 years. I've replaced all the rubber and lamps, cleaned and polished the playfield, cleaned the contacts on the spin unit in the backbox. This match business has me baffeled. I believe The Match unit is label the 0-9 unit. bottom right with bell. I was having an issue on a bally and I had to clean the 1st score reel. (the lowest scoring reel). On my bally the match value changed each time the 1st score reels rotated. (Except during game reset). The match value is compared to the 1st score reel. If they match, a credit is awarded. That is the match unit and the match number. If the last digit of your score matches that number (which changes secretly through the game to provide a "random" result) you win a free game. The spin unit is a tiny unit in the left hand side of the head that does not have a plunger. It is probably the size of a tennis ball (but not circular, lol). Could you please clarify? The Spin Unit is in the bottom of the cabinet. The Credit Unit is in the left hand side of the head and indeed does use a coil/plunger. You say the random number does light at the end of the game? This is the "match" number. Simply put, if the last digit of your score matches the random number which lights at game over, you're supposed to win a replay. Why they ever came up with this idea is a mystery to me because it has absolutely nothing to do with skill. It's total luck! Could you please clarify what you said? The spin unit is a tiny unit etc? This might help visualize how the spin unit and related parts work. Not shown is the delay unit that waits for the spinning to stop before awarding whatever the spin unit selected. The spin unit is, as I said, a tiny unit (AS-style) in the left hand side of the head. (If you're looking at it from the back) It is under the credit unit. The unit in the bottom of the cabinet is the spin pulse unit. Different units. The one in the head controls the lights and the 30v side of what card is landed on, the heart of the operation, while the spin pulse unit (a lot beefier/larger; normal-sized unit) is what triggers this unit to advance. Here is a picture of the SPIN UNIT (lower) and the CREDIT UNIT (unrelated, upper) to show where it is. Cropped photo, original photo is from IPDB.org. There is a unit that looks like the spin unit and just left of it from the front end with a large bakelite disc on it.